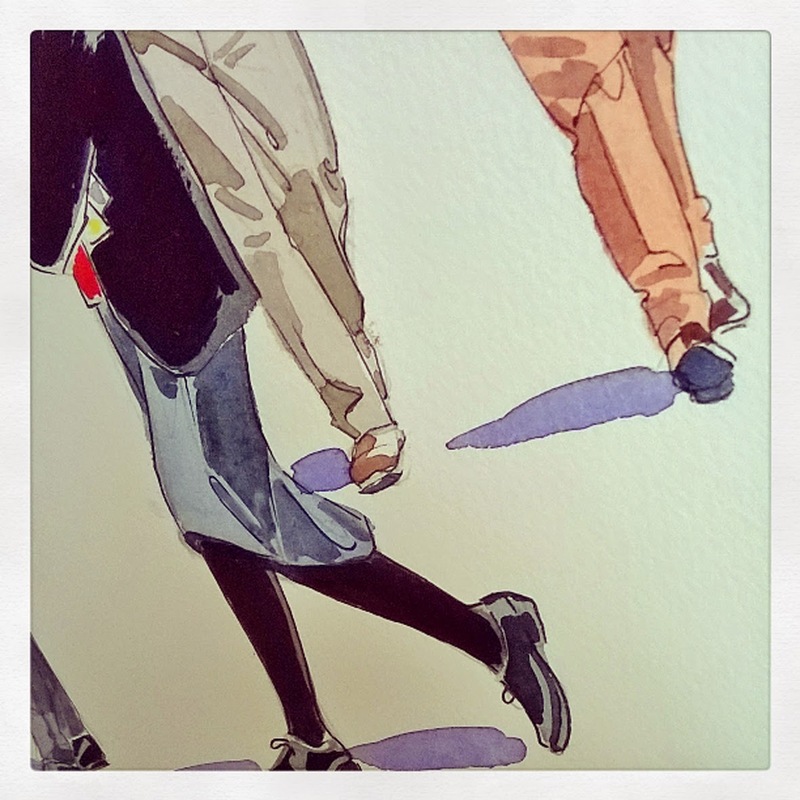 Three of my favourite 'tweeters' from 2014. 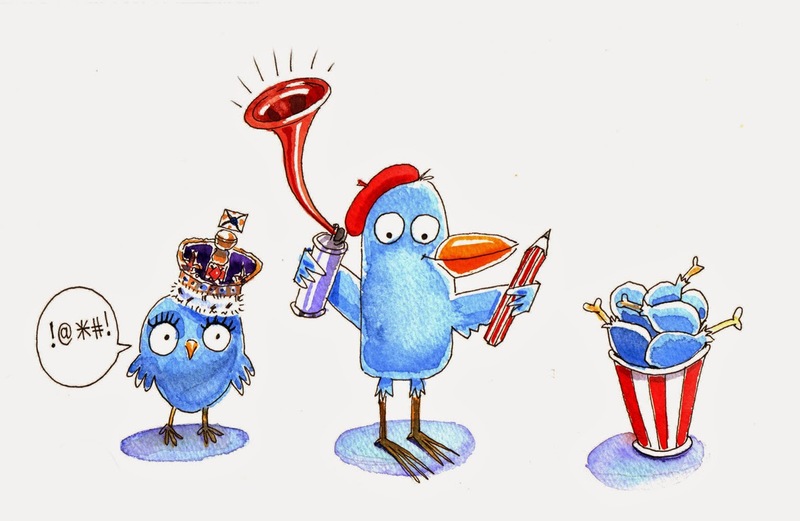 A mixed bag but all worth a follow - @Swearing_Queen, @Alex_T_Smith and @98rosjon. 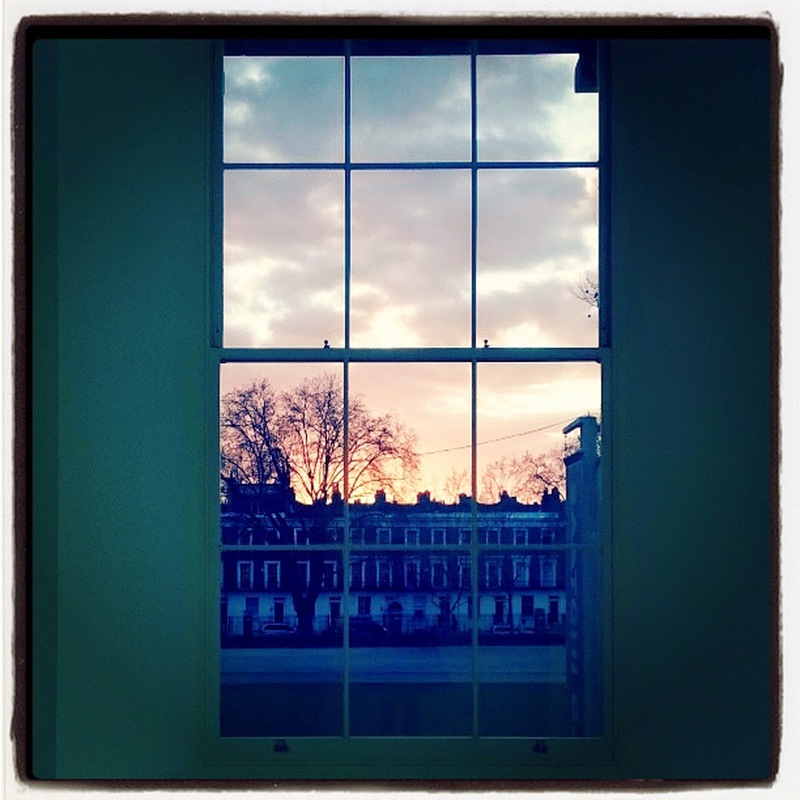 Visited the Saatchi Gallery today where there are lots of interesting pieces of work in a variety of different styles but the most beautiful thing there was the view of a winter sunset from the upper floor. 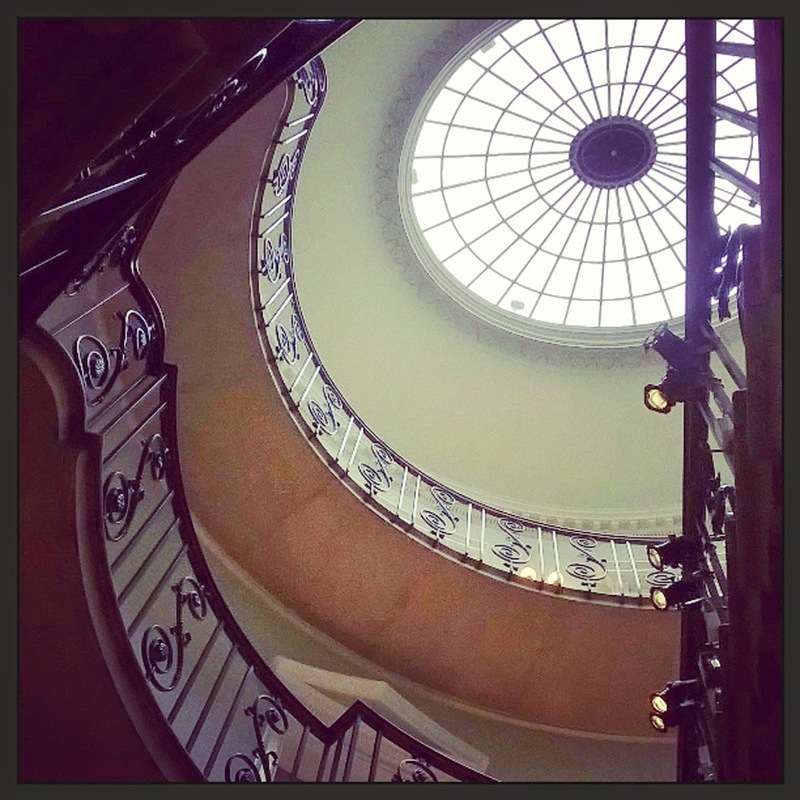 This photo doesn't do it justice. 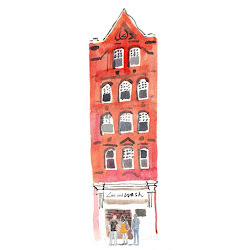 I've made a slideshow of some of my favourite drawings of London from this year - hope you will enjoy! 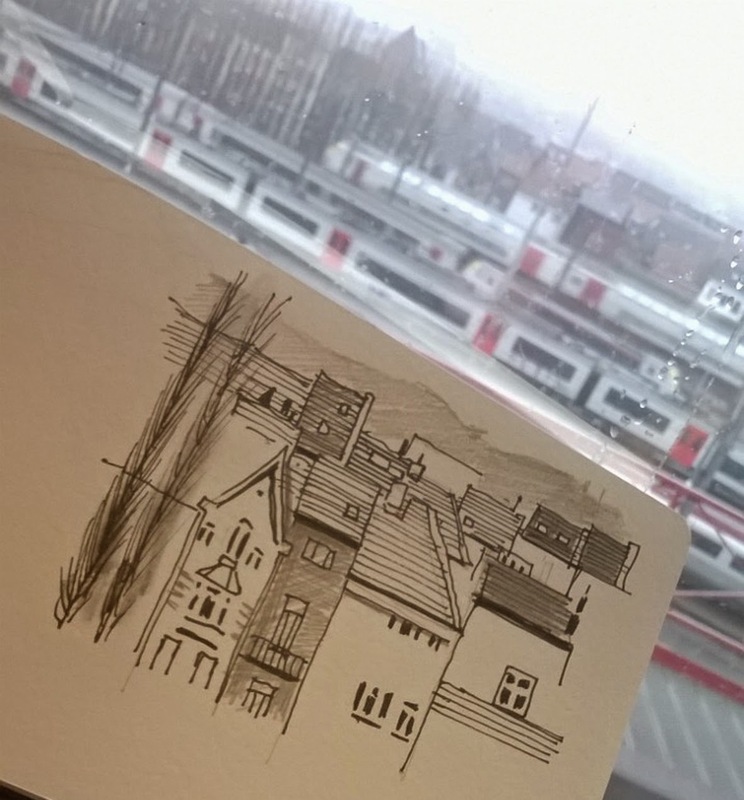 Another drawing from the sketchcrawl yesterday with the London Urban Sketchers at the Winter Wonderland in Hyde Park. 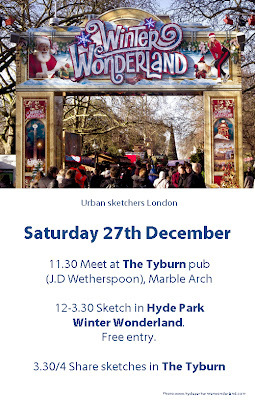 Out today with the London Urban Sketchers in Winter Wonderland at Hyde Park - cold, but a great place to draw. 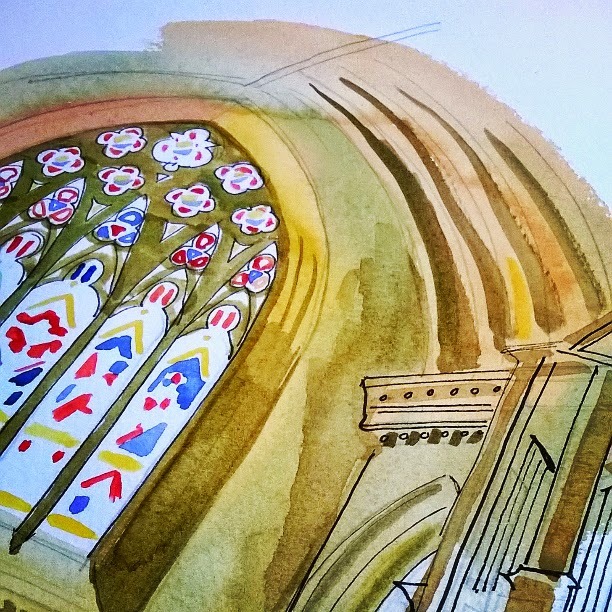 Working on an illustration today of church interior. 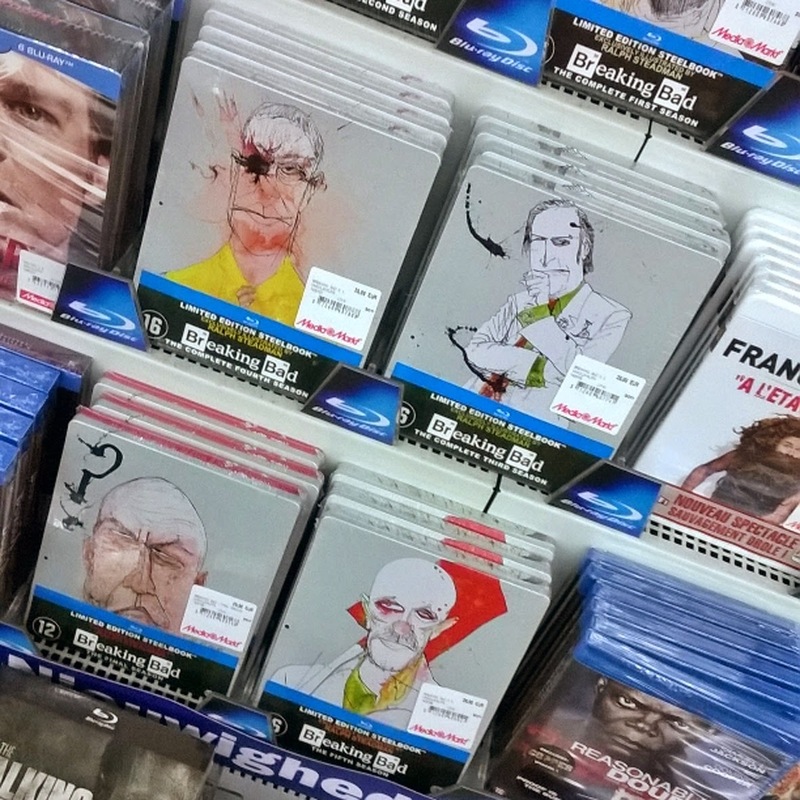 Ralph Steadman's take on 'Breaking Bad' in the form of DVD metal covers. 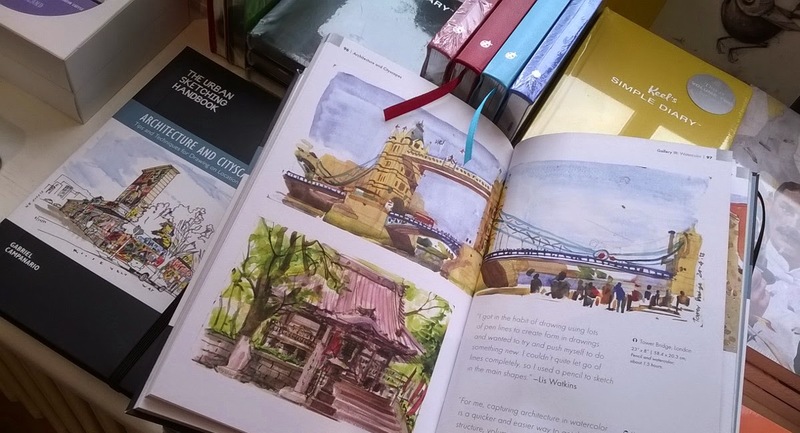 Spotted copies of Gabi Campanario's new book, 'The Urban Sketchers Handbook' in the shop at Somerset House. 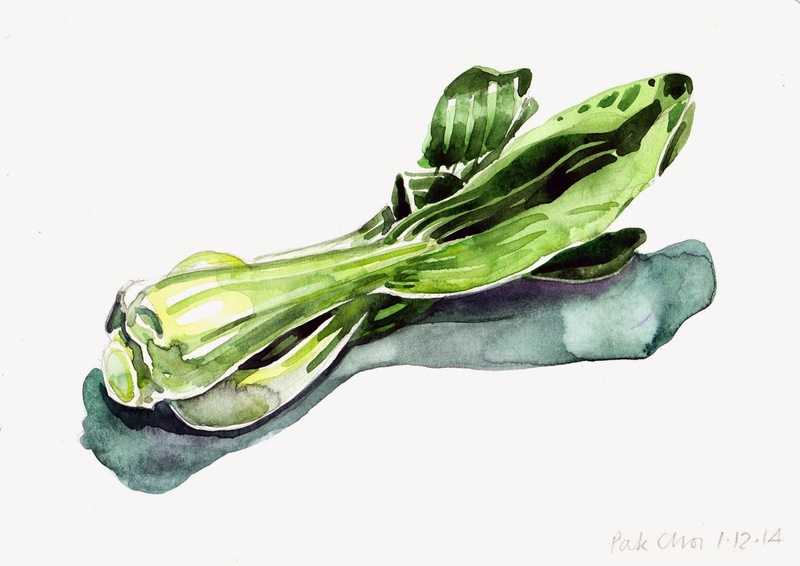 I'm pleased to say I have a drawing included! 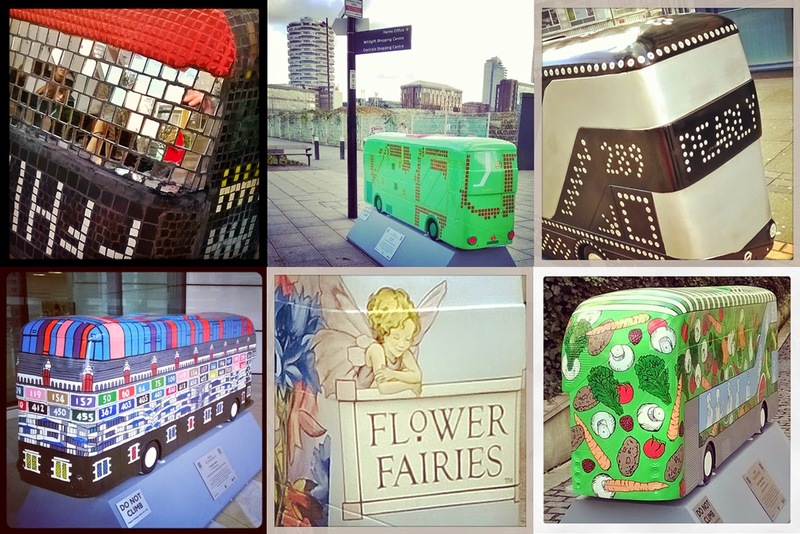 Half a dozen of the bus sculptures on the Croydon Bus Trail celebrating the Year of the Bus. 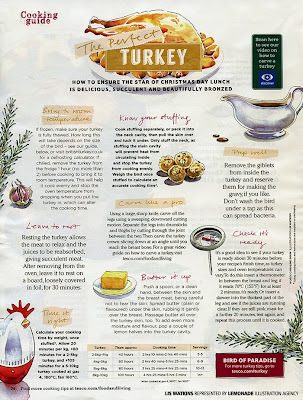 I illustrated a page of the Tesco Christmas Magazine this month showing how to cook the perfect turkey. 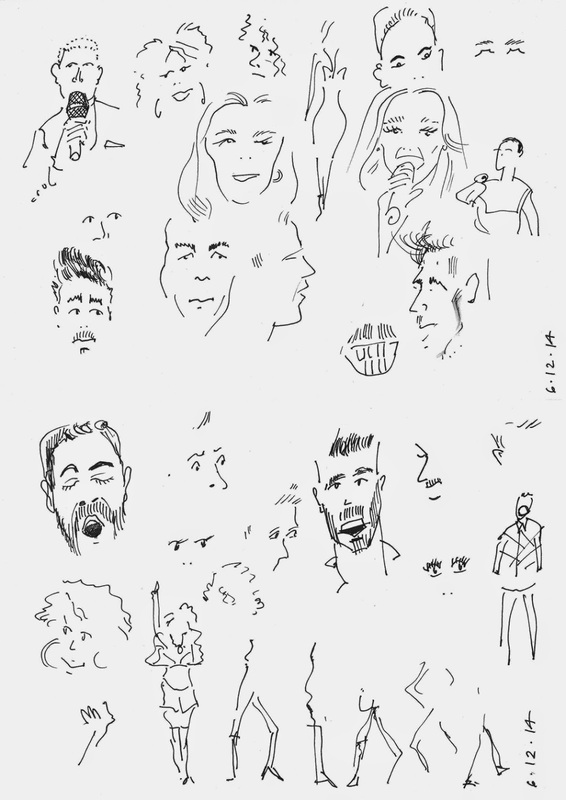 I made a quick sketch which is being used on the logo for the forthcoming 'Ambition' Festival in Croydon next summer. 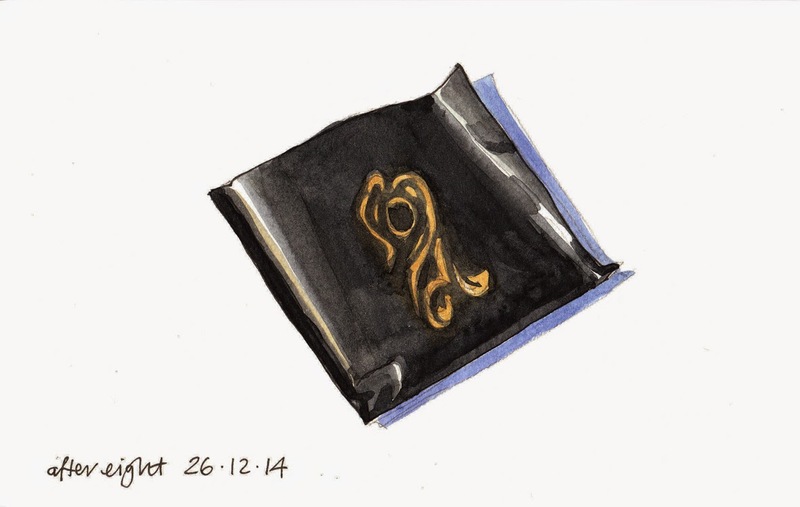 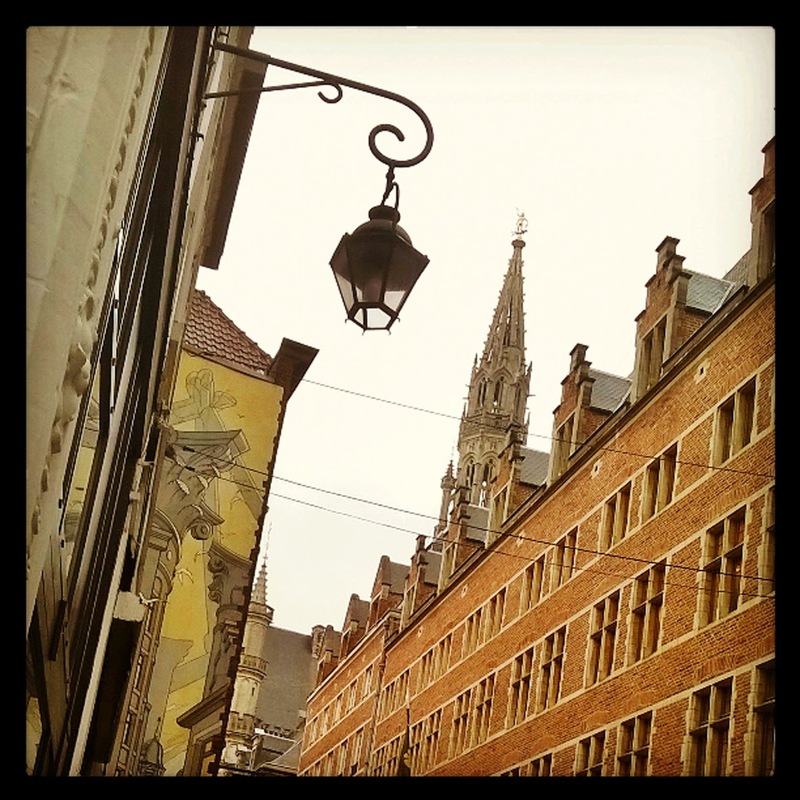 ...to shamelessly plug one's Etsy shop! 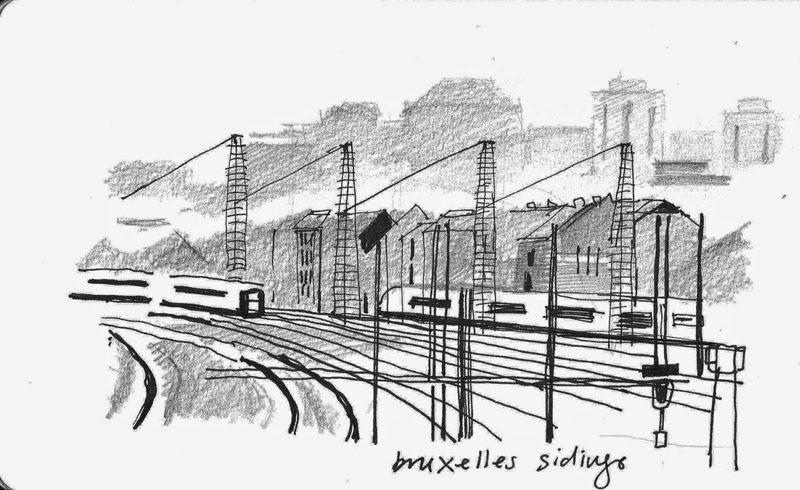 Artists have always looked for new spaces to use as studios, leading the way into new areas in towns and cities but I don’t remember hearing of an artist setting up a studio in a shopping centre before. 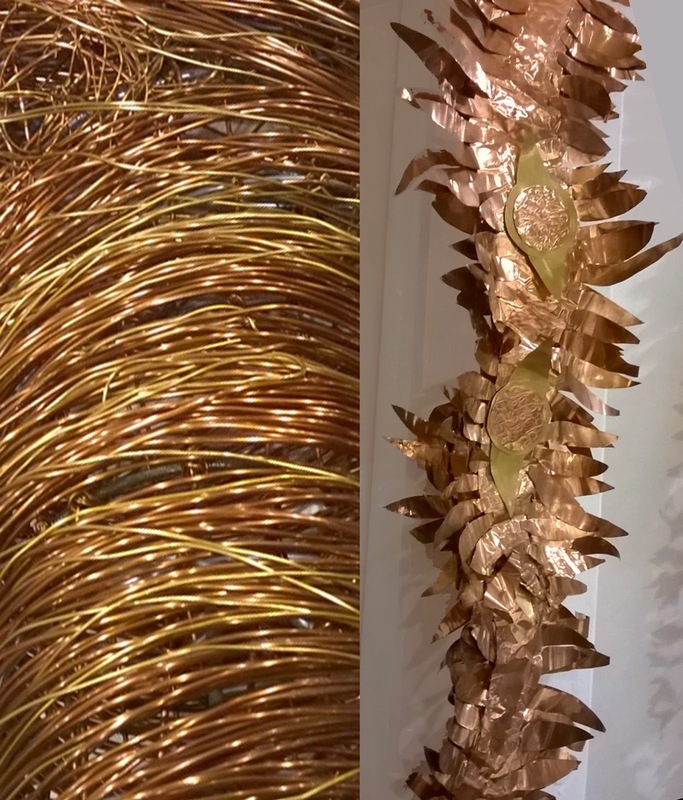 Hale Man is currently the ‘Artist in Residence’ at the Whitgift Centre in Croydon and I had a chance to see inside her studio earlier this week, viewing large sculptures and new paintings. 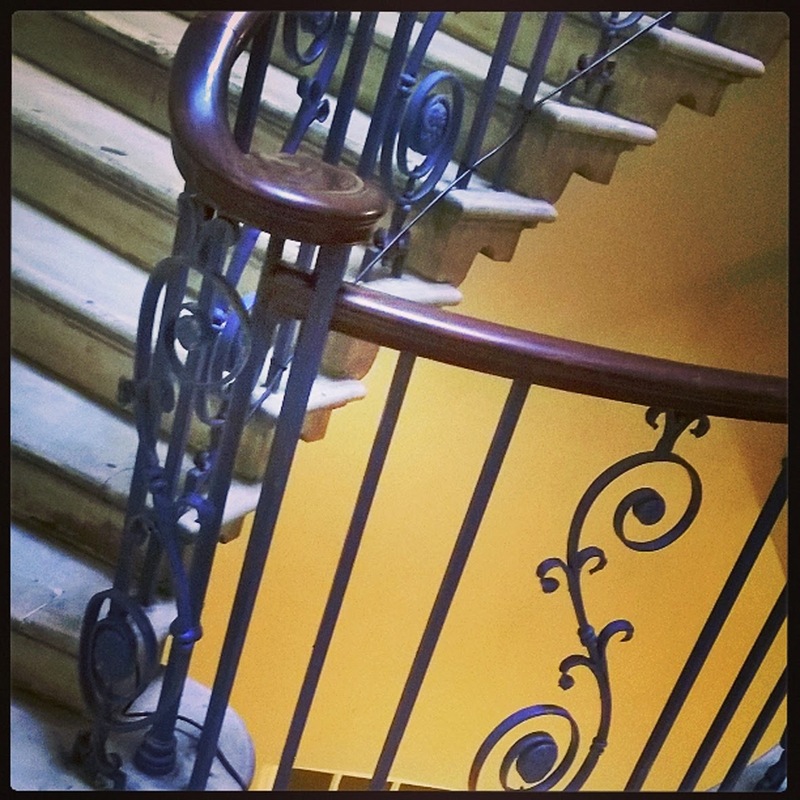 She has been working in the former shop unit for several months and seems to be enjoying the experience, doing her own projects and also running workshops. 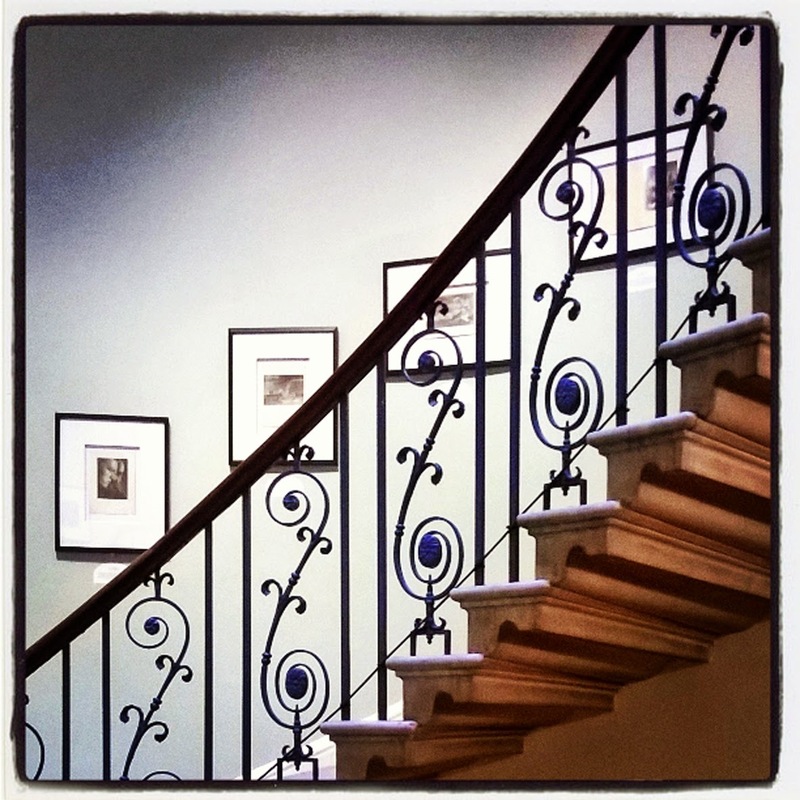 *The photographs show details from two of her 3D pieces. 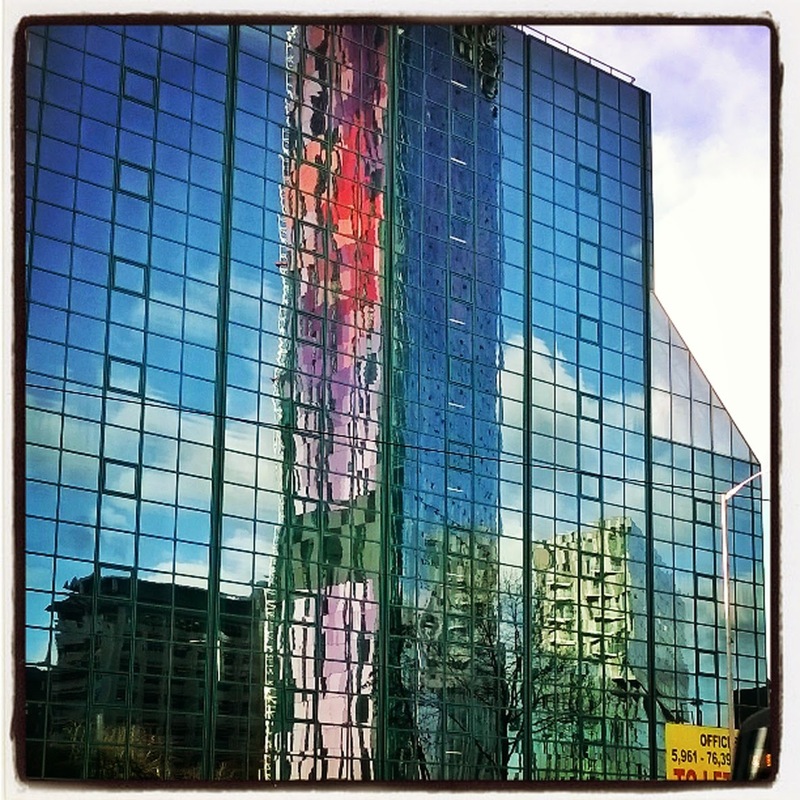 An instagram of the Saffron Tower in Croydon. 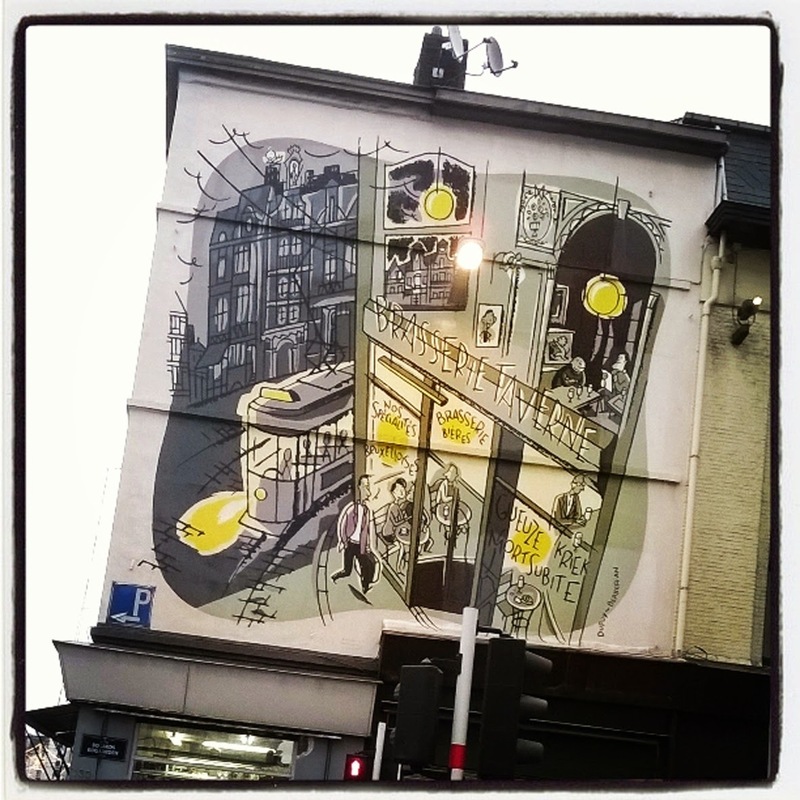 Did I mention that I have a bus sculpture nestling underneath it?! 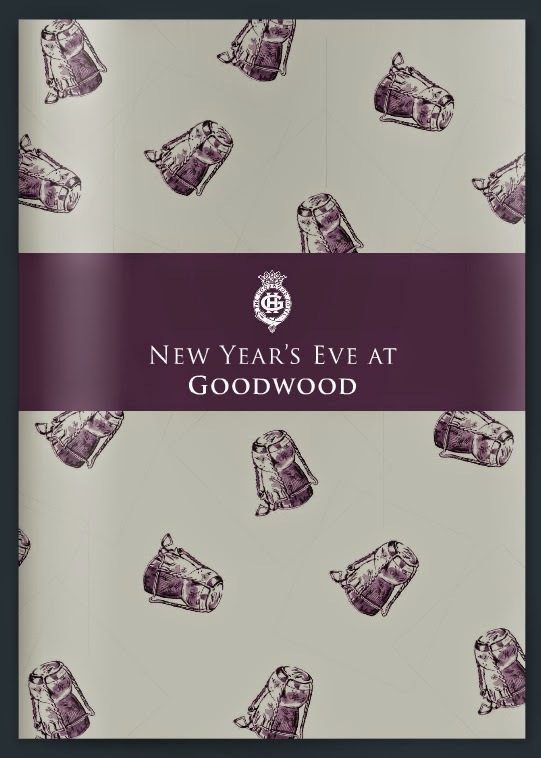 My image of a champagne cork has been made into a repeat design for the cover of the New Year's Eve brochure for The Goodwood Hotel. 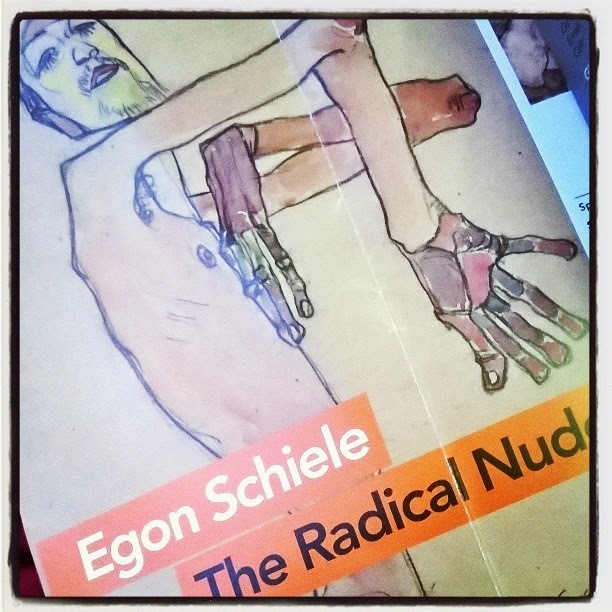 Small but fantastic exhibition currently on at the Courtauld Gallery of drawings by Egon Schiele. 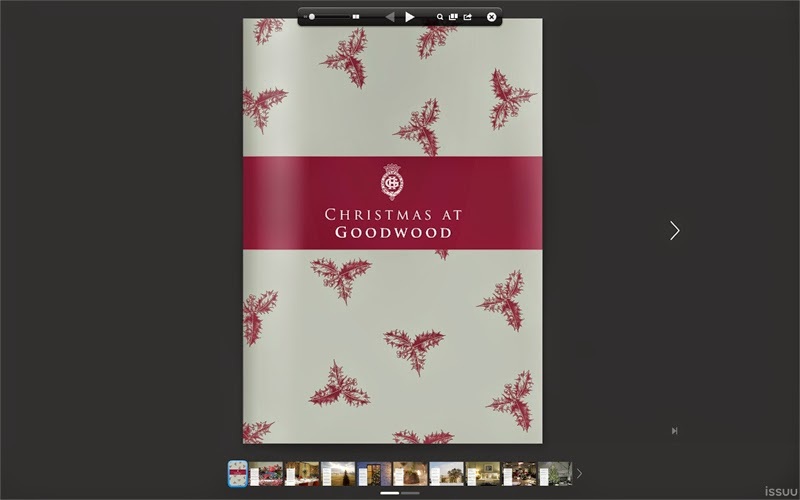 My drawing of holly has been used by The Goodwood Hotel on their online brochure this year. 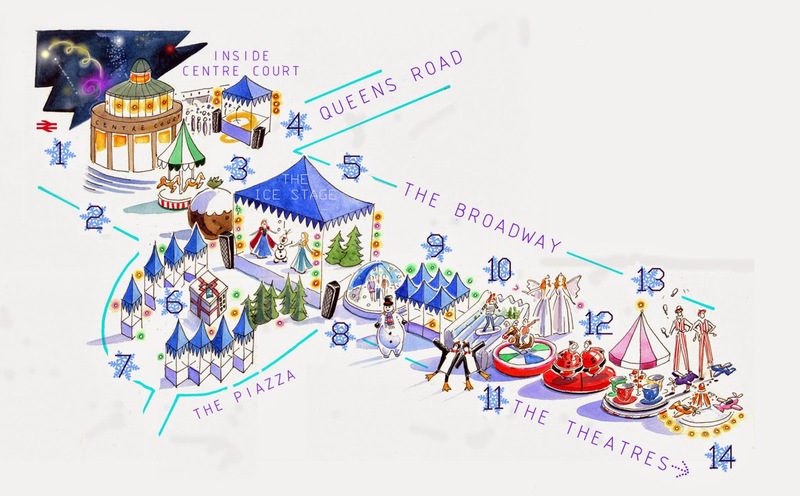 Map for 'Love Wimbledon' illustrating the various rides and attractions at their Winter Wonderland day last Sunday.